MicroMac introduces iDEC-Zip, an external Zip drive for the iMac. MicroMac introduces iDEC-Drive, an external hard drive for the iMac. Upgrade your existing 520, 550, 560, or 575-series Macintosh to a PowerPC with this 75MHz or 90MHz logic board trade-up from MicroMac Technology. 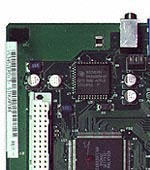 As of July 14, 1998, MicroMac Technology's MacSpec hardware upgrade database has 108 logic board pictures. Typically you would search for technical data and upgrade information for your particular Mac model in the MacSpec database. There you find a link to the picture of your particular Mac logic board. For a quick peek at all logic board picture see our picture summary page. Tell us whether these pictures are helpful to you. These Mac models have 8MB soldered onto the logic board. Traditionally the maximum memory configuration has been limited to two 32MB SIMM for a total of 72MB. MicroMac's BigSIMM product line breaks this memory barrier and allows you to upgrade the memory to 132MB. These Mac models have 4MB soldered onto the logic board. Traditionally the maximum memory configuration has been limited to a 32MB SIMM for a total of 36MB. MicroMac's BigSIMM product line breaks this memory barrier and allows you to upgrade the memory to 68MB or even 132MB. MicroMac Technology is in the process of publishing a hardware upgrade database for each and every Macintosh model, that is more than 330 different models. Find your very own Macintosh and study the technical hardware data. This section of our site is always in progress and is continuously updated. If you find any mistakes (and they do happen) please let us know. MicroMac now has available a number of fast logic board trade-ups. Trade-ups include upgrades from 68020/030 to 68040 processors, trade-ups from 601 to 604 PowerPC processors, as well as upgrades from 68040s to PowerPC processors. 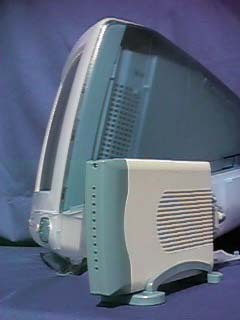 Increase the screen resolution of the Color Classic screen from 512 by 384 pixels to 640 by 480 pixels. Crisp and very sharp picture! Get 57% more pixels. See the whole width of your page and the web page. Pricing is $99. The MicroMac Power Workstation is now also available in a chassis-only configuration. 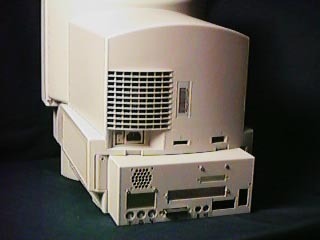 The Power Workstation chassis adds room for two more internal hard disk drives, for a CD-ROM or CD-burner and for an internal ZIP drive. 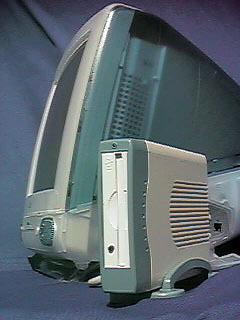 Works for LC, LCII, LCIII, LC475, Performa 400-series, Performa 450, 460, and 475 series computers. Increase the speed of your MacII series Mac by up to 500% to an astonishing 90MHz.